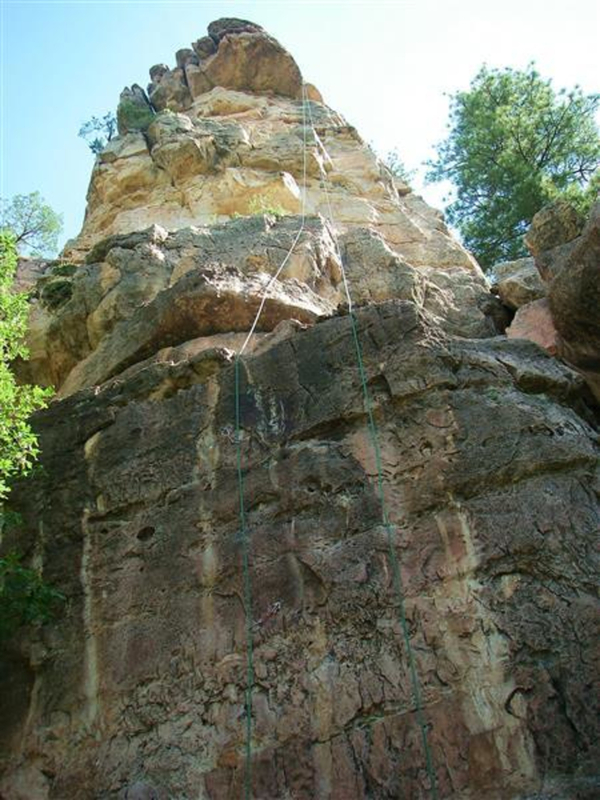 The Pit is regarded as Flagstaff's natural climbing gym, with a wide variety of route options for all skill levels. Short approach on a good trail. Variety of routes 5.10 and harder. All seasons, but you will want to avoid the sun in summer and chase it in the winter. 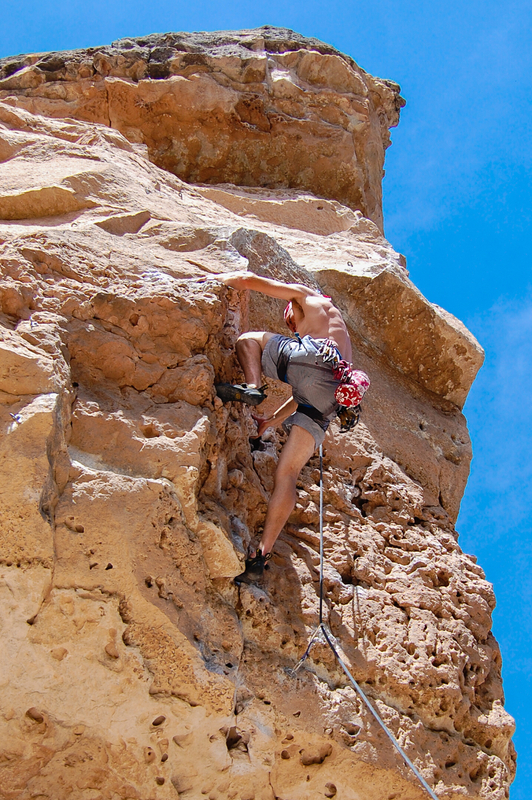 Single-pitch sport climbing right outside of town, with grades for all abilities. The Pit is Flagstaff's the go-to morning or afternoon climbing destination, whether to get a quick workout or session a tough project. Fancifully called Le Petit Verdon, but known fondly to climbers as The Pit, these limestone canyon outcrops are basically Flagstaff's outdoor climbing gym. In a highly concentrated area, there are routes of all difficulties from 5.9 to 5.13, all well-bolted on solid rock. The approach is short and easy to follow--just a quick jaunt across a field, down a few switchbacks, then across the canyon floor and up to the base of the climbs. 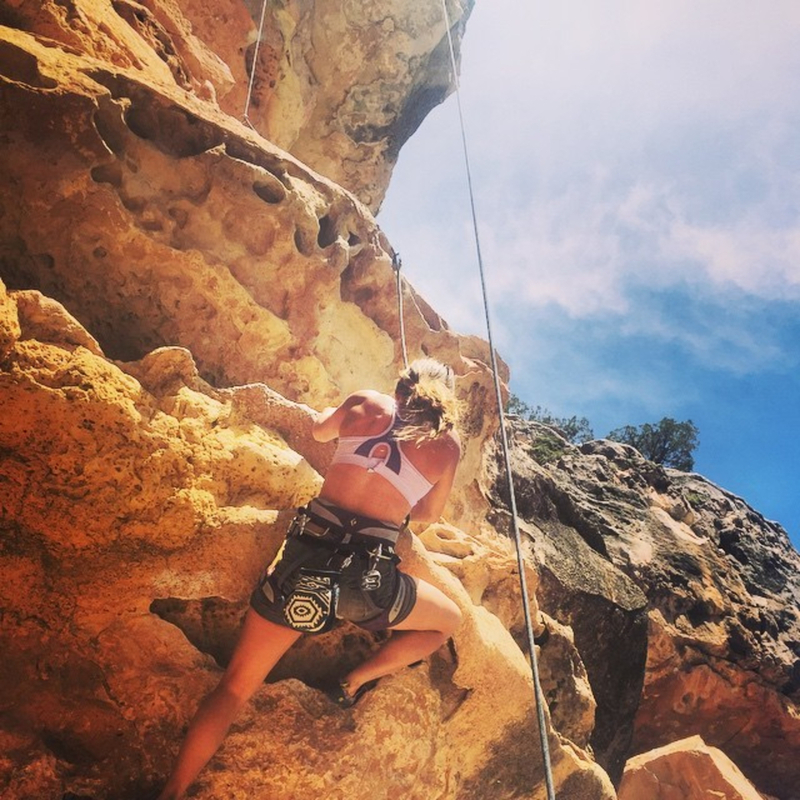 The best part is that The Pit is only a few minutes' drive from town, so you can get a quick session here almost as easily as you could at the climbing gym, but with all the perks of real sport climbing. The crag faces mostly south and west, so gets a lot of sun. This is perfect for much of the year when ambient temperatures are a bit chilly. In the heat of summer, there is still shade to be found on certain routes throughout the day. 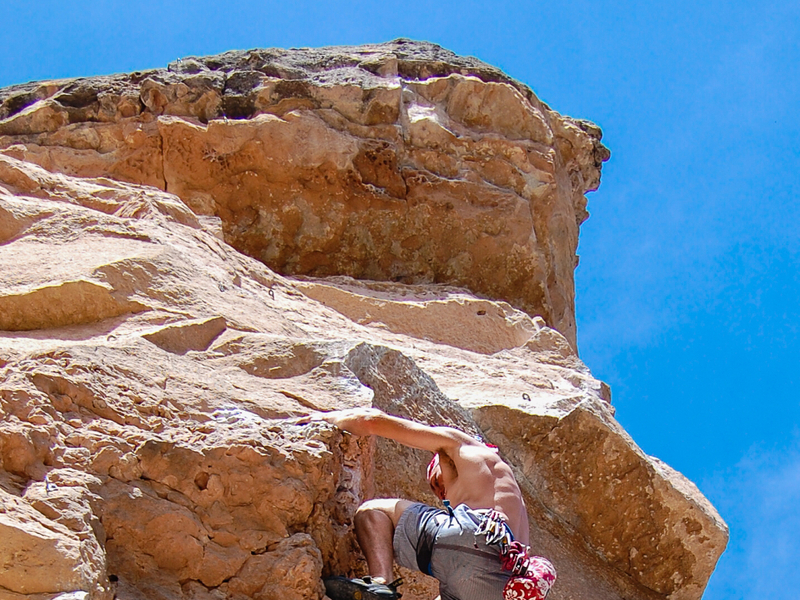 Anyone--Flagstaff locals or those just passing through--who sport climbs will love climbing at The Pit. Though it may not have the volume or variety to make a road trip destination all on its own, this is one more classic crag to add to the wealth of climbing in Northern Arizona. It's greatest advantage is ease of access and proximity to town, so you can make the most of even a few hours freetime in Flagstaff to work some routes. Drive south on Lake Mary Road for 5.5 miles and turn left into Canyon Vista Campground. Park in the gravel lot outside the gate, and follow the trail through the campground to get to the Pit. No parking permit or fee is needed if parking outside this gate, rather than in the campground itself.